EXCLUSIVE! A mechanical marvel you get to assemble yourself. 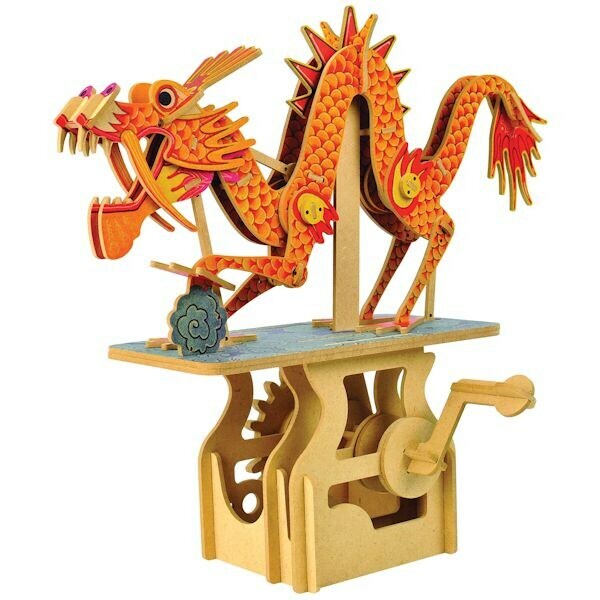 Every piece of this precision-crafted 3-D puzzle is made to marvelously slide together; once it's put together, the mechanical elements animate to set the dragon in hypnotic motion. Wood. 11¾"x 5½"x 10¼". 107 Pieces.